An after-Christmas trip to visit some friends brought me to the Prarie State, "Land of Lincoln" (slogan copyrighted by State of Illinois). 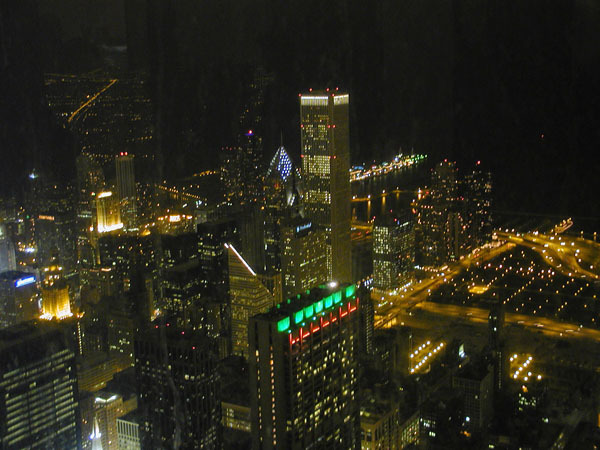 As many people were still hesitant to fly in December 2001, tickets were pretty cheap, so I was able to get a good price on a flight to Chicago. 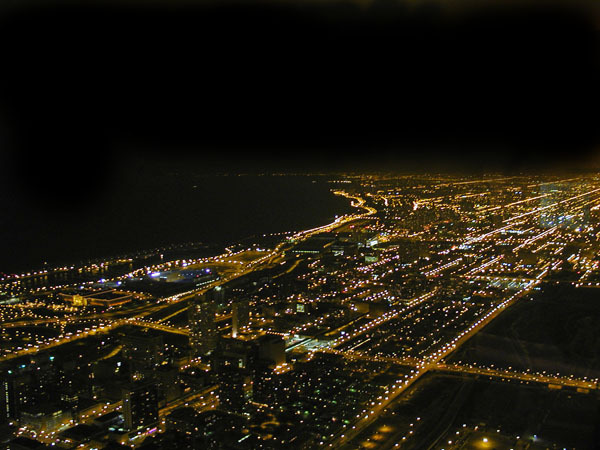 These are some photos taken from the SkyDeck at the Sears Tower in Chicago -- the world's tallest building. Unfortunately, I was there at night so the full extent of the view could not be captured with the camera. The first image is looking south -- Soldier Field is just below the shoreline to Lake Michigan. 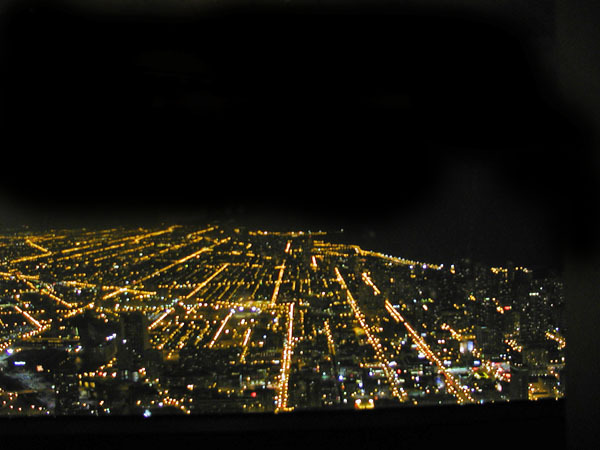 The second image is downtown Chicago and the third image is looking north along the shore to Lake Michigan. The main reason for the visit was to see friends in Eureka. 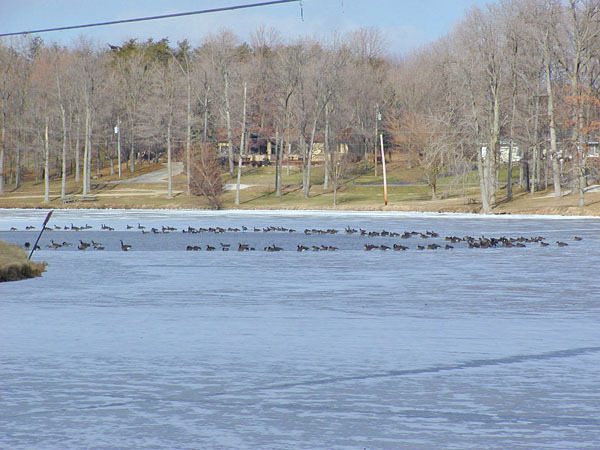 Below is Lake Eureka -- frozen over except for a small area around which geese and ducks are congregating. 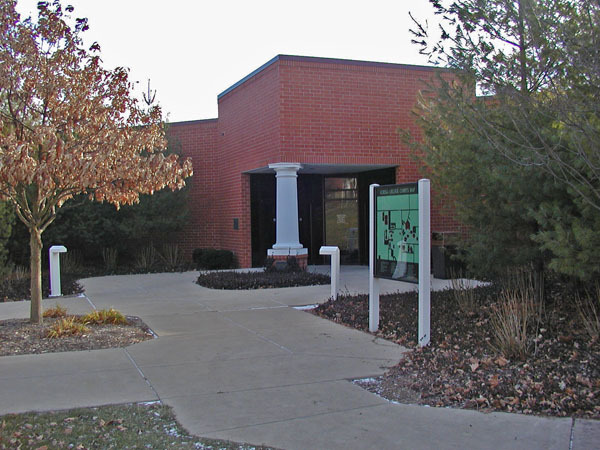 My friends attended college at Eureka College. 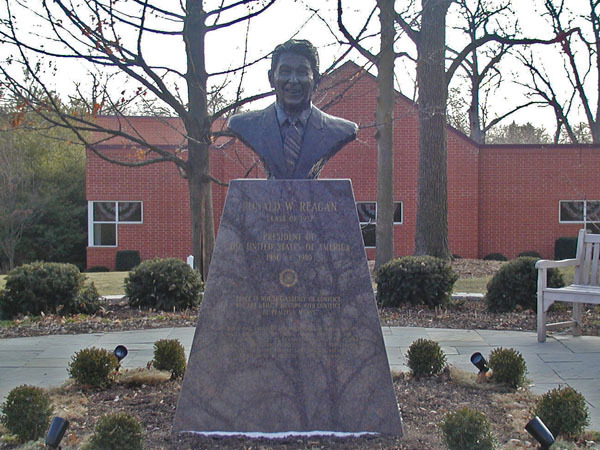 On campus is a Peace Garden (first photo) dedicated to their most famous alumnus -- Ronald Reagan. 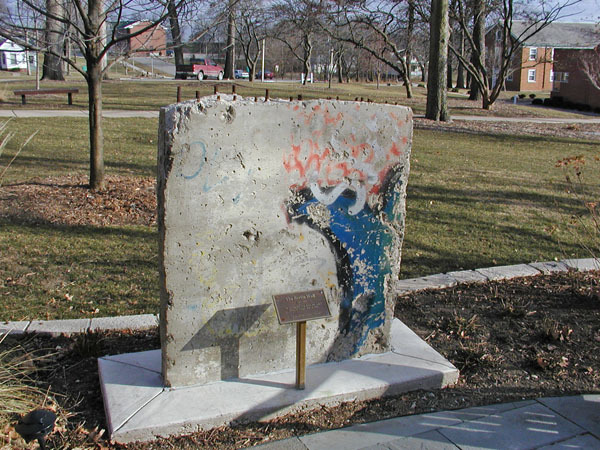 Second photo is part of the Berlin wall displayed beside the garden. They also have a Ronald Reagan museum (third photo), but it was closed over Christmas. Unless otherwise stated, all material copyright by Michael Pullin, 2008.